Claytex are proud for our second year selection as one of the ‘Top 10 Exhibitors’ of the Low Carbon Vehicle Show in 2016. 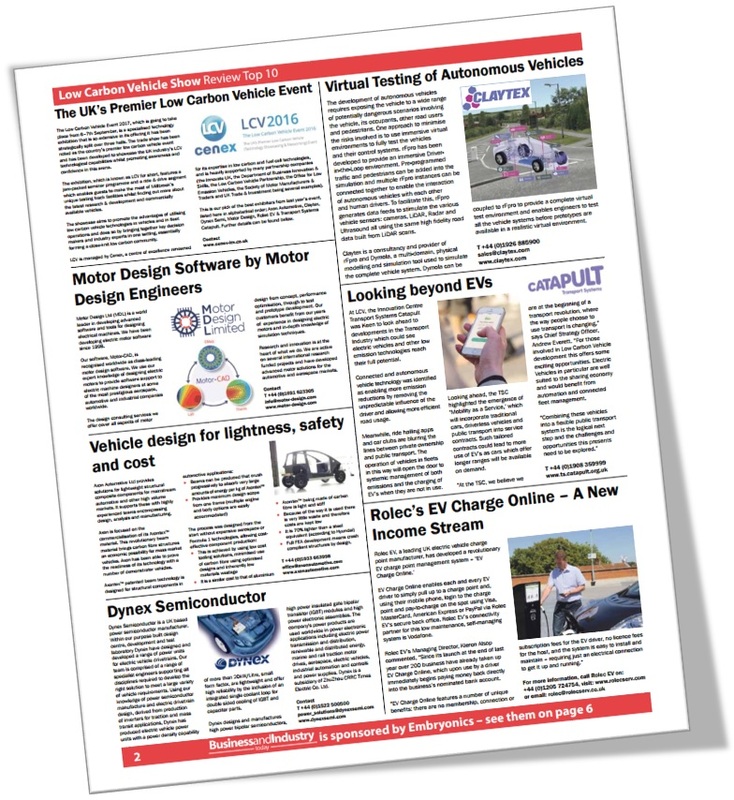 At the LCV 2016, Claytex showcased how rFpro and Dymola can be used to support the development of ADAS (Advanced Driver Assistance Systems) and autonomous cars. We had a driving simulator at our stand that uses a Dymola vehicle model and rFpro demonstrating this capability. Using rFpro to provide the virtual test environment we can support driver-in-the-loop and provide data feeds to the array of sensors (cameras, LiDAR, radar and ultrasound) all based off the same high-fidelity track model. Claytex also presented as part of the ‘Digital Engineering, Modelling and Simulation’ session. The presentation looked at how we can achieve virtual testing of the complete vehicle system using rFpro to provide the virtual test environment, Dymola to model the vehicle systems and we also covered how the control systems can be incorporated using SiL and/or HiL environments.